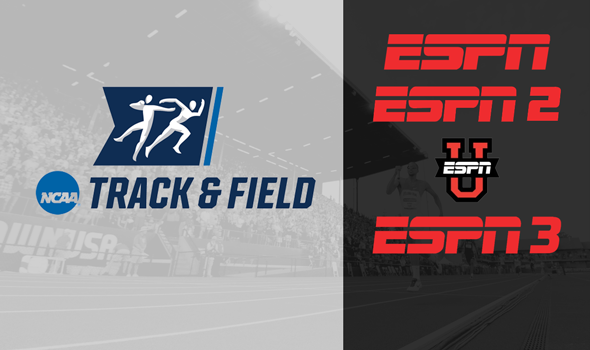 ESPN’s expanded coverage of the 2015 NCAA Division I Men’s and Women’s Outdoor Track and Field Championships — the first year of a new format — from Hayward Field in Eugene, Ore., led to record viewership for the event on ESPN networks. The four-day competition (June 10-13), featuring 12 hours of television coverage across ESPN, ESPN2 and ESPNU, averaged 367,000 viewers, making it the most-watched NCAA Division I Men’s and Women’s Outdoor Track and Field Championship on ESPN (records date to 2009). Additionally, the men’s championship (Friday, June 12 on ESPN) and the women’s championship (Saturday, June 13 on ESPN2) averaged 579,000 and 534,000 viewers, respectively, the No. 1 and No. 2 most-watched sessions of the Outdoor Track and Field Championships ever on ESPN networks. Oklahoma City was the highest rated market, followed by Portland, New Orleans, Kansas City and Atlanta. In addition to expanded television coverage, ESPN3 offered more than 25 hours of coverage from Hayward Field. Combined with WatchESPN, users consumed more than 4,600,000 minutes of competition, a 138% increase over the 2014 Division I Men’s and Women’s Outdoor Track and Field Championship on the same platforms.